Sinaia Keith Lang is a Managing, Advisory, and Copy Editor for ‘The Science Survey’ newspaper and an Editor-in-Chief of ‘The Observatory’ yearbook. 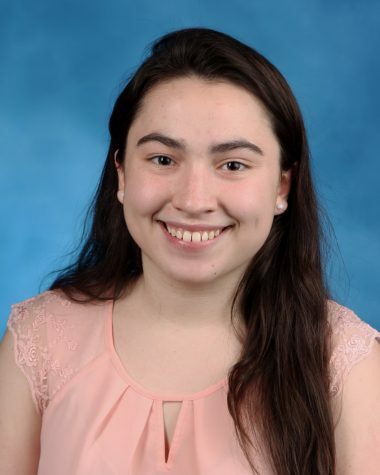 In her third year of journalism, she oversees the meeting of newspaper deadlines, edits the content of newspaper and yearbook articles, and delegates yearbook staff responsibilities. For Sinaia, honest journalistic writing is a fundamental aspect of democracy. Sinaia is drawn to journalistic photography's ability to convey all of the emotions of a moment in a single image. Sinaia is captain of the Girls’ Varsity Bowling team, a member of the Girls’ Varsity Softball team, and a Big Sib. She works at a doctor's office on the weekends and over the summer. Sinaia plans on studying biology in college with hopes of becoming a doctor.